The Internet offers a lot of options to get money with limited resources. Surely, online advertisement is one of the most common types. However, here is not everything so simple how it may seem. 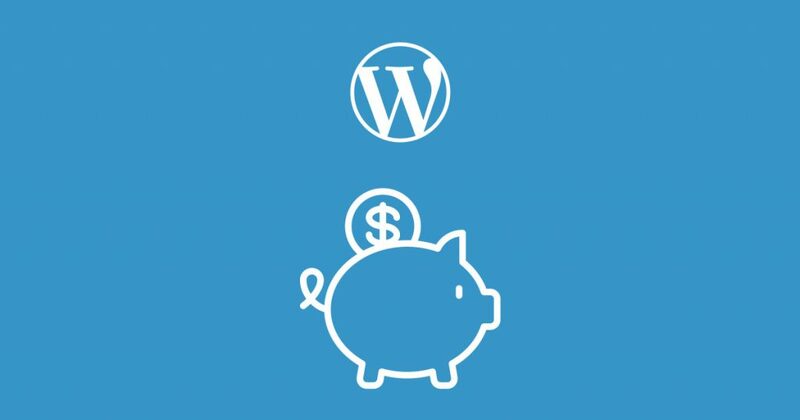 To be more precise, before starting to earn money from online ads you have to "prepare" enough your WordPress website to it. Cause the advantage will always be on the side of excellent websites. Let's go trough the main five points which make your WordPress website "ready" for the promotion of advertisement! Remember that the correctly composed content is the main recipe for success. So, never save on it! But not least important is the look of this content. The ordinary user is not interested how your site is arranged from inside. He wants beautiful interface and informative content. At that, visual attractiveness of websites is the first thing that visitor's eyes catch. Beautiful graphics will surely bring more traffic, many shares via social medias and will increase the involvement of users. Thanks to developers which have created a large range of WordPress plugins especially for the decoration of your sites. There is no need to be a designer to work with them. Basically, plugins are simple and intuitive constructed. They offer different layouts and templates for them who do not have much time or(otherwise) you can find many additions if you wish to start from scratch. As a strong recommendation look trough this great guide about the step wise building of your websites' visual look. Most importantly, that the content and its look are equally significant for the website and they are powerful just in collaboration. You always write and work on all your content just for the final assessment of your audience. The first task of each owner has to be the definition of the target audience. It is reasonable to use the stats, to study comments and feedback. But the basic weight of website is always related to its content. As it was mentioned on the top the main points are informativeness and attractiveness. Just after the having a completed portrait of the audience, it is much easier to promote your website. There are many tools to attract the visitors. Surely, the suitable advertisement may become a good tool for it. For more detailed description of this way, check the article "Targeting the audience for your content and ads in WordPress blog". Exactly the identification of targeted audience should be placed in the first position when you have a goal to promote an ad campaign. The stats are a real "face" of your website's situation. They are collecting information about the whole traffic. The analyse of web statistics is a group of measures for the assessment of the effectiveness of website promotion. It is the most useful tool for the content creation and targeting the audience. Only the stats may confirm the achievements of your acts. Also, the results of stats determine the future strategy of development. Only in the case of right usage of stats, you may gain a lot of privileges from it. Like it is possible to involve new visitors, fix the flaws, avoid bad reviews, increase the quality of site and etc. It is important to understand that besides the main stats of website you have to follow the local stats of ad campaign (take an advance to read "Usage of statistics for ads in Apart SmartAd WordPress plugin"). It will allow to competently arrange the work and direction of the website. Well, all the mentioned is the processes that you need to go over. The choosing of right ad type is one of them. Do not neglect the value of ad type. The ad may cover the background of the site, embed in web page or content, pop-up during the usage or etc. It has to become a good addition to your website's look. Also,ads need to be noticed and does not interrupt users. Surely, it is possible to insert an ad into your website by hand. But it will be a long and boring way. WordPress offers a lot of cool ad management plugins which provide an ordinary set of required features as well many effects and animations for the design of the campaign. If this field is interesting for you, that means that one of the previous articles ("Choosing the right ad type in Aparg SmartAd WordPress plugin") you would like, too. The fifth item from this list is a helpful suggestion to superficially study about Google AdWord before the start. AdWords is the service of content ads which has created by Google. It is a very successful tool for the Internet marketing. The main advantage of AdWord is the maximal targeting of audience due to keywords which people use for the search. The whole act of making a campaign in Google AdWord will last less than 30 minutes. You have to pass the registration, after giving a short description of your potential audience - gender, age, location (it is the most significant part, so be careful!). Next, you need to define your budget. Here is AdWord has one more great propose. You pay just for real clients! You may decide to pay for clicks, views or some action (like buy or registration). The last steps are the creation of campaign and the choosing of keywords. It only remains to wait for the approval by Google. Now, you are officially ready to do the final corrections on your WordPress website and jump into paid ads' step in a good faith!